When women embark on a fertility journey, I often encourage them to try liver cleansing herbs like dandelion first. I’ve found that a more regular cycle can result with the use of dandelion and other liver cleansing herbs. Many women report less cramping and less PMS when they use these types of herbs too. If you’re already pregnant, dandelion is a gentle diuretic for pregnancy-related water retention. 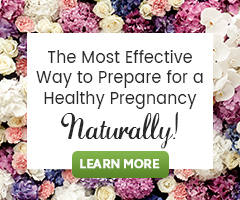 It can help fight fatigue, system sluggishness, and constipation, all common pregnancy issues. Dandelion is a high source of vitamin A, B, C, D, calcium, potassium and iron, and is healthy and safe for moms-to-be. In preliminary studies, dandelion has shown success for liver disease like hepatitis, and lowering cholesterol. As a source of plant inulin (not insulin), it may have a role in better sugar balance for diabetes. More studies need to be conducted to better understand its benefits. 1. Liver Renew caps combine dandelion root and leaf with burdock, artichoke, milk thistle seed extract, and bupleurum. 2. Liver Cleanse Flushing Tea combines dandelion root and leaf with white tea, watercress, hyssop, yellow dock and red sage. 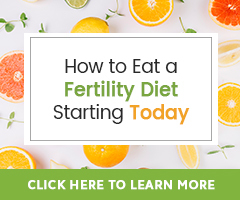 You can use both formulas together for added system support and fertility-cleansing benefits. Dandelion also works well by itself in capsules, teas, or extracts for everyday use. I recommend trying dandelion greens as a healthy side dish with meals once or twice a week for an infusion of herbal nutrition. Just sauté gently and add a little olive oil and lemon. They’re a little bitter at first, but many people grow to love them. Murray, Michael. (Feb/Mar 1996). Dandelion: A dandy herb for the liver and digestive system. Health Counselor. Vol 8, No 1. Page, Linda, Ph.D. & Traditional Naturopath & Abernathy, Sarah. (2011). Healthy Healing 14th Edition. Could you drink maca powder 1x daily in the a.m. along with dandelion tea in the evening? Could you also drink a cup of green tea throughout the day? Or is these too many herbs? Or perhaps not a good combo? Is it ok to drink these throughout ttc journey? Thank you tons! Maca powder can be consumed in the morning and dandelion tea in the evening. It is not to much to take them, as well as drink green tea. It is considered best to drink your green tea apart from taking you multivitamin or a folic acid supplement however. Do you recommend dandelion root in capsule form? if so, do you have a recommended dosage? Dandelion root can be taken in capsule form. You may see varying suggested usages, so follow that of the supplement manufacturer you choose. An average general suggested use is around 1g or 1000mg 1-2 times a day is what I see. I have replaced my morning cup of coffee with dandelion root tea and I love it! However I am now ttc and am concerned that dandelion root may not be safe during the first trimester as I have only heard people drinking it in the second and third. Do you recommend avoiding it during the first trimester or is it safe? Thank you! It is always best to be working with an herbalist or midwife if wanting to take herbs in pregnancy. It may also to be helpful to reach out to the makers of the tea you use to ask this question. The Botanical Safety Handbook classifies Dandelion (Taraxacum officinale) as a Class 1A herb which means there are no known contraindications, precautions, drug interactions, adverse events or side effects. It is a mild diuretic to be aware of and cautions for person’s with gallstones. There is no information negating the safety of dandelion in pregnancy… safety has not been “conclusively established”. We feel it on of several herbs safe to use in pregnancy. We share this and of others in our guide Are Preconception Herbs Safe During Pregnancy?.